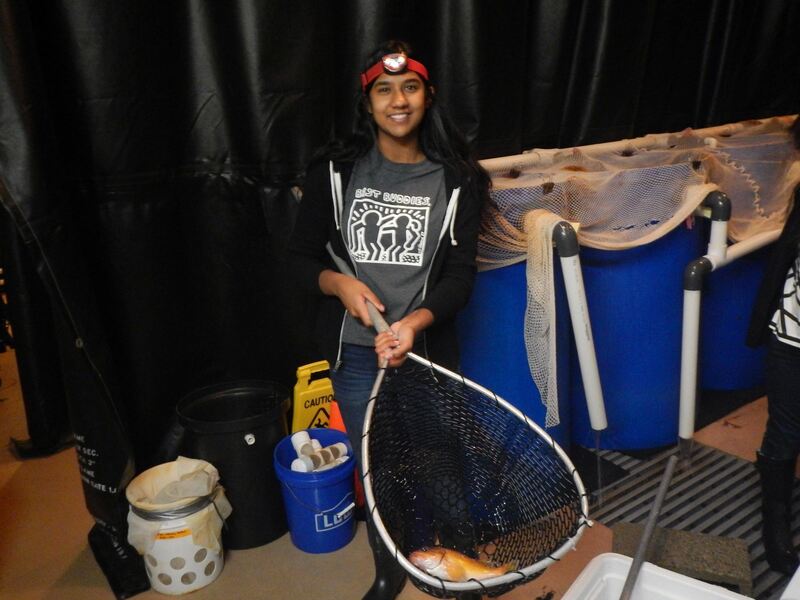 Over summer break, student interns Timothy Hogan, Kathleen Cheng, Leah Varghese and Ruby Rorty learned about reproduction in rockfishes by assisting graduate student, Sabrina Beyer, with a laboratory study on how maternal effects and the environment affect reproductive patterns in Rosy Rockfish, Sebastes rosaceus. Interns helped care for adult rockfish located in the aquarium at the NOAA National Marine Fisheries Service in Santa Cruz, CA. Over ten weeks, Kathleen, Leah and Ruby estimated fecundity (number of larvae released per brood) by processing larval samples collected from the adult tanks and found that females in high food ration treatments produced a greater number of larvae per brood. They recently submitted their summer project to the Siemen's National High School Science competition. 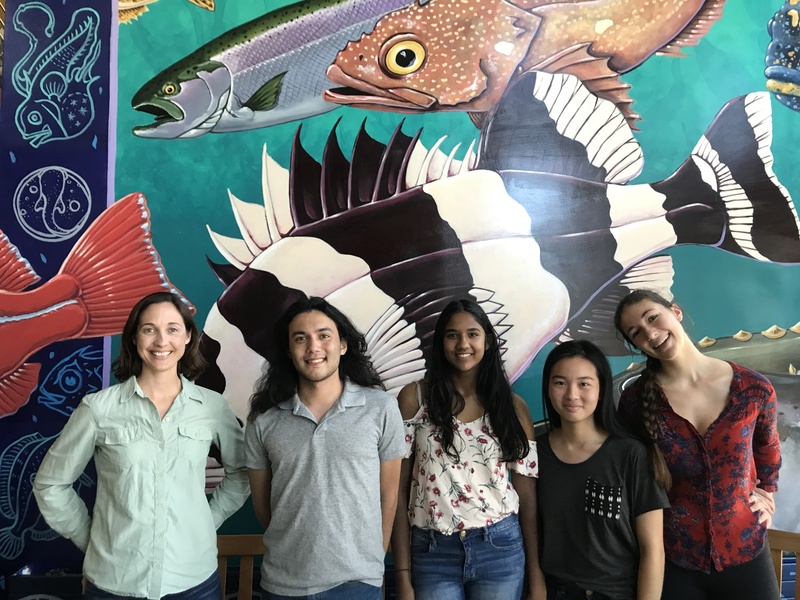 Kathleen, a senior at Harker High School and Leah, a junior at Cupertino High School, participated in the internship through the UCSC Science Internship Program. Ruby, also a senior, joined the team from the Pacific Collegiate High School in Santa Cruz, CA. 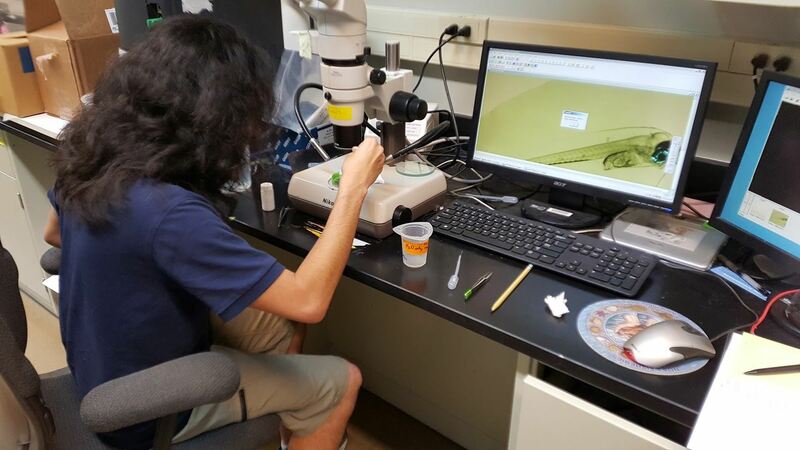 Tim is a NOAA Hollings Scholar and undergraduate at the University of Miami. 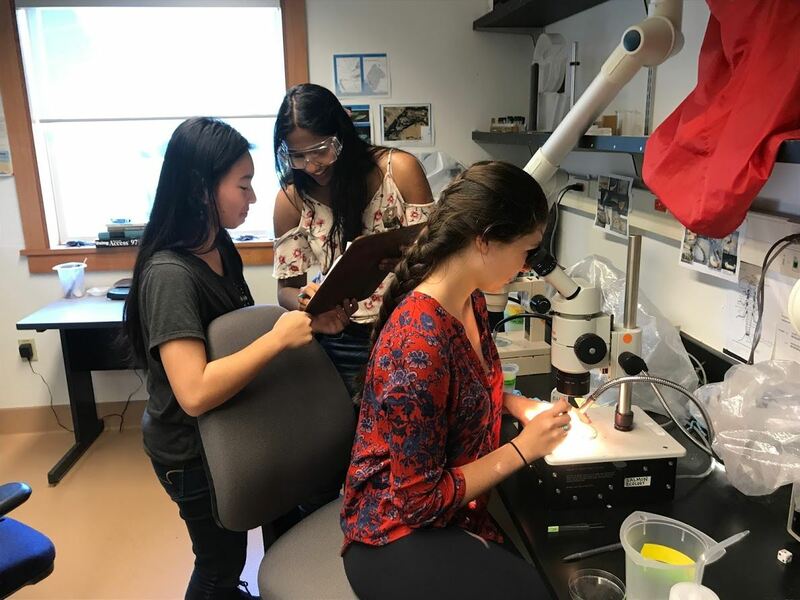 Over the summerTim developed methods to asses larval quality by measuring photographs of one day old larvae released by female Rosy Rockfish in the lab. He found that larvae released from larger (and presumably older) females were longer and had larger oil globules (a small energy-rich nutrient source). Larval quality may influence survival of larvae released in the wild. In August, he presented his results at the Hollings Scholar symposium at NOAA headquarters in Silver Spring, MD and will use the results to complete a senior thesis.